The Mentalist - Episode 6.01 - The Desert Rose - Promotional Photos. 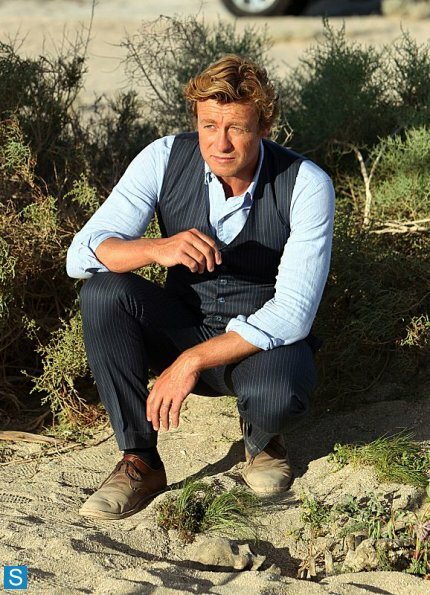 While investigating the murder of a man who had been missing for two years, Jane and Lisbon secretly continue to narrow down the list of Red John suspects, on the sixth season premiere of THE MENTALIST, Sunday, Sept. 29 (10:00-11:00 PM, ET/PT). Wallpaper and background images in the The Mentalist club tagged: the mentalist season 6 6x01 the desrt rose promotional photo. This The Mentalist photo contains business suit. There might also be suit, suit of clothes, well dressed person, suit, pants suit, pantsuit, and mulch.